... we strive to make our work better and your business stronger. New - optimized iPhone websites. SEO stands for search engine optimization. Search engines, like Google, Yahoo and MSN and many others work by sending out spiders to crawl through the World Wide Web and gather information. 1. 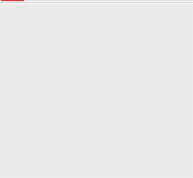 Begin with properly formatted Meta Tags. 2. Focus on keyword density. 3. Use proper page formatting. 5. Obtain listings in Web directories. Is your website not visible or searched enough on the internet? To develop websites that are both unique and functional, while offering exceptional return on investment. Media Corner's proven methodology and project management processes ensure that the client is involved in the entire web site project life cycle. With a reputation for integrity and professionalism, Media Corner's team of Vancouver web site designers and developers are well-recognized in the industry for their innovative and dedicated approach. Our creative and advanced technologies produce exciting visual experiences... We offer new ways of seeing for a modern world. We love thinking up new and creative solutions for challenges in website design and concepts. 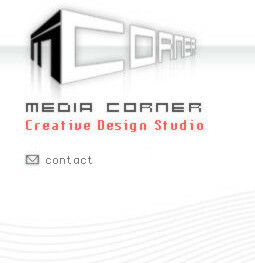 Media Corner Studio in Vancouver provides website design, graphic design and complete website development by professional website designers, graphic artists and programmers. Media Corner is proud to have produced websites and multimedia presentations, and interactive CD-ROMs for organizations in Vancouver, BC, and abroad. We are a small Canadian web design studio that specializes in unique, custom web site design and development, including non-profit sites, print and logo design and other marketing tools you may need a professional designer's help with -- Flash intros and demos, T-shirt design and presentations, and much more. We pride ourselves in making each web site, logo or print piece truly unique and custom while answering all the needs of our clients and their customers. For Vancouver website design, website development, print design, identity, logo and stationary design services contact: Gabriel at 604-839-2015 or email us. Media Corner in Vancouver is a web site design company that not only services Vancouver and Whistler in British Columbia, but also Calgary and Edmonton, Alberta; Toronto and Ottawa, Ontario; Montreal; and also New York; New Jersey; Seattle, Washington; Portland, Oregon; San Francisco, Los Angeles and San Diego, California; Denver, Colorado; and Florida. Besides Canada and US the company also services Europe and Brazil. Wherever you are located, we can provide your business or company with the following services: web site design and web site development, email marketing, internet marketing, identity and stationery packages, branding, print and multimedia advertising, e-commerce, internet applications, web site hosting, and other web consulting services. As a Vancouver based web site and graphic design company, we have an extensive international portfolio. Industries, companies, corporations and firms serviced include international website design firms and marketing companies, professional services, retail, manufacturing, real-estate, travel, entertainment, music, food and hospitality, personal profiles, non-profit organizations and other small- to medium-sized businesses. Media Corner delivers custom design and programming solutions to an image conscious clientèle. If you need a polished identity, a professional company site with bite, or a cohesive information management system, Media Corner will develop stunningly unique products to perfectly match your requirements. A diverse talent pool and comprehensive project-management expertise enable Media Corner to thrive on challenges including traditional print and web design, high-performance database development, and managed network services. We truly are your one-stop digital solution provider. Our mandate: artistry, functionality, performance, technological innovation – and, as always, customer satisfaction. MediaCorner, an award-winning website design company, is committed to providing exceptionally well-made, interactive websites. These websites have demonstrated to existing clients that our services increase their market exposure and generate substantially more sales; in so doing, we consistently surpass our clientsí expectations. At Media Corner, we pride ourselves on encompassing a wide range of technical and creative talents. This flexibility allows us to take on projects spanning from print & identity pieces to fully integrated e-commerce applications, all under one cohesive vision. Media Corner strives to be your one stop, design and technology solutions provider. If other marketing strategies are unpredictable when it comes to increasing sales, advertising with a well-designed website is not: a well-designed website has proven itself to be the most effective marketing strategy because it attracts the largest number of consumers and often shapes that crucial first impression of a company. In our initial free consultation we can show you how your website can be as successful as those we have designed for our past clients. We would be pleased to offer you this free consultation at your convenience. Simply contact us at the email address or telephone number below and learn about how a high-quality website can transform your image and attract more business. Media Corner finished the new website for the Vancouver dentists at 'M2 Dental'. Media Corner finished 'La Garufa Festival' website. Finished 'Argentine Tango Lab' website. Finished trade show Flash Presentation for Dispatch Application. Finished mobile device communications website. Finished 'Vancouver Dental Clinic' mobile website. "I am very impressed with the service provided by Media Corner. Gabriel managed to propose his ideas to me that were focussed on my initial vision. We worked together well which helped to make the finished product exactly what I wanted. I have received so many compliments on the website." "We are very satisfied with Media Corner, and appreciated being able to meet at a location convenient to all. Gabriel was open to all of our suggestions, and gave expert feedback. He carefully made changes to the web site design until we were completely happy." "Thank you so much for doing such a fabulous job. You have been a pleasure to work with. I am happy that now I understand how my online promotional marketing works. You are the best." "Media Corner took some general ideas and an unformed concept and designed an attractive website which encompassed everything the Vancouver Women's Forum needed ... offering technical advice when required but willing to make changes when necessary. All this, and he came within budget, too!" "The whole process of producing a website was clearly explained to me, was very professionally handled and I was very satisfied with the final product." "To say I am thrilled with the results is an understatement!" Gabriel Monty delivered -- there's no doubt about it; he's a visual genius. "